Labuan Bajo in West Manggarai district of Flores is slowly becoming a world-famous destination and it has the Komodo Dragons to thank for its escalating fame. But while the majority head to Flores to explore parts of the Komodo National Park, what about the rest of Manggarai? 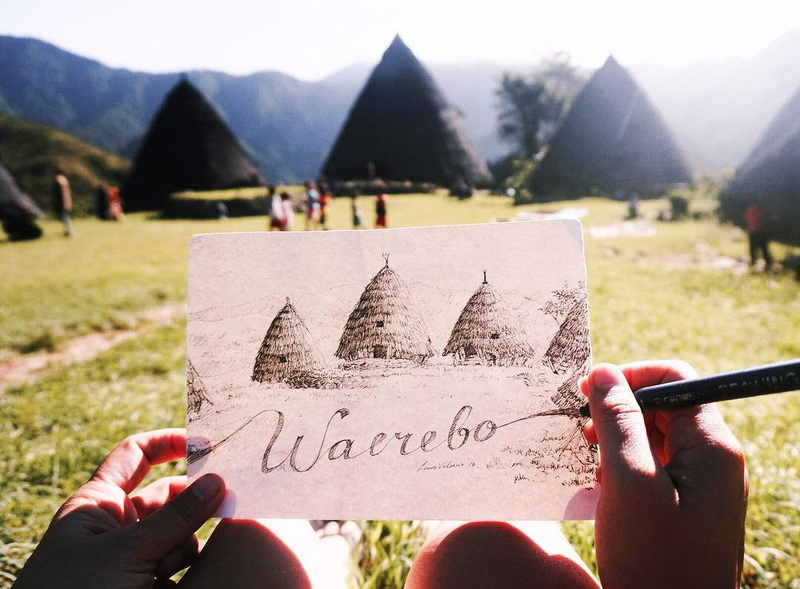 In West Manggarai, there’s the world-famous UNESCO heritage site, Wae Rebo and Todo Village with their “Drum Houses” also called “Mbaru Niang”. Then there’s the Lingko Spider Fields and the Ranaka Mountain, once an active volcano. From its peak, you can see the sun rising in the east or setting in the west. In the surrounding Ranamese forests, you can observe and learn more of the local wildlife and view the variety of endemic birds. Don’t miss out on one of the world’s deepest crater lakes, called Sano Nggoang just 35km away from Labuan Bajo. Manggarai is also home to a plethora of natural hot springs. Manggarai, located in West Flores, is a region with its own unique culture. The Manggaraian people are known for their longstanding heritage of rituals and ceremonial life. Divided into threekabupaten (administrative districts), Manggarai is the most populated area in West Flores, which is made up of Manggarai Barat, Manggarai and Manggarai Timur. In East Manggarai, there’s Ndeki Mountain, also known as Poco Ndeki. At its peak, there are rock formations which seem to appear male and female. Come by early in the morning or late afternoons for epic sunrise or sunset views. 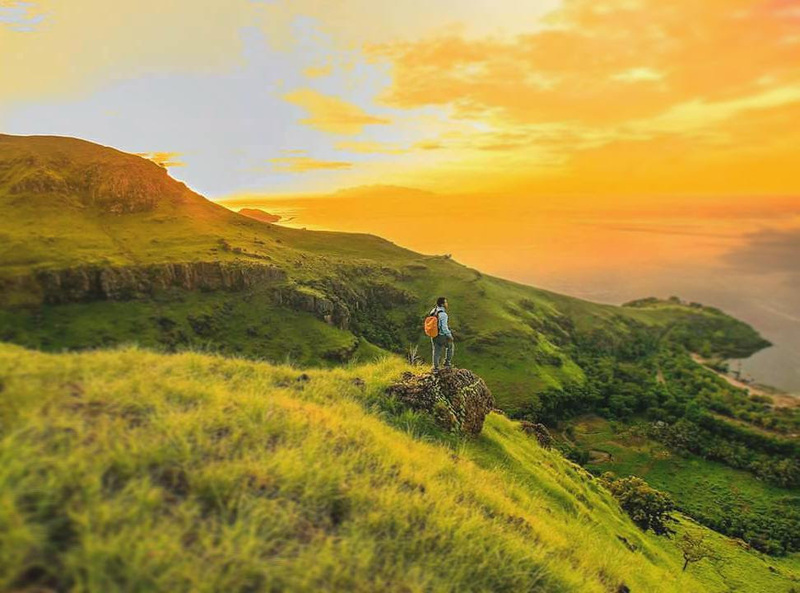 You could also hike up Mount Komba, the ancient ancestral site for the Ronga Tribe, who are well-known for their rituals to summon the rains during extremely dry seasons. Another location you can’t miss is the Mausui Savannah, a large expanse of wide open fields with tall grass that turns yellow during the dry season. From there, it is straight on to Kampung Tua Nawe and Kampung Sambikoe. Beach lovers can get their fix at Pantai Mbolata, Pantai Pasir Putih Mausuiand Mount Inerie. So next time you’re headed to West Flores, don’t forget to explore all these thrilling sites, just outside of Labuan Bajo! Want to share your photos and videos of Flores with us? Submit your videos and photos of Labuan Bajo, the Komodo National Park, Mount Kelimutu and Flores via our Instagram and Facebook page and stand a chance to be featured. Join us next week with FloresPlus Magazine as we Rediscover Hidden Paradise and don’t forget to tag #floresplus!